Hello! I’m Adele and I started my PhD about a week ago. It’s been a little intense but I can almost find the lab without a map now, so it is probably time to introduce myself. I’ll be studying pollen-vegetation relationships in Ghana, as part of the NERC funded project ‘500,000 years of solar irradiance, climate and vegetation changes’. This means I’ll be using pollen traps to figure out how pollen outputs vary between (and sometimes within) different vegetation types in Ghana. I will also be trying my hand at chemotaxonomy and video making. I’m heading out to Ghana (along with Phil Jardine) in just over a week to do my first lot of field work which will involve seeing the plots, collecting existing traps, replacing them with new ones, and setting up some new sites. I’m very excited. My background is broadly botanical; I did a BA at Magdalene College, Cambridge in Natural Sciences specialising in Plant Science and then an MSc in Biodiversity and Taxonomy of Plants at the Royal Botanic Gardens, Edinburgh. 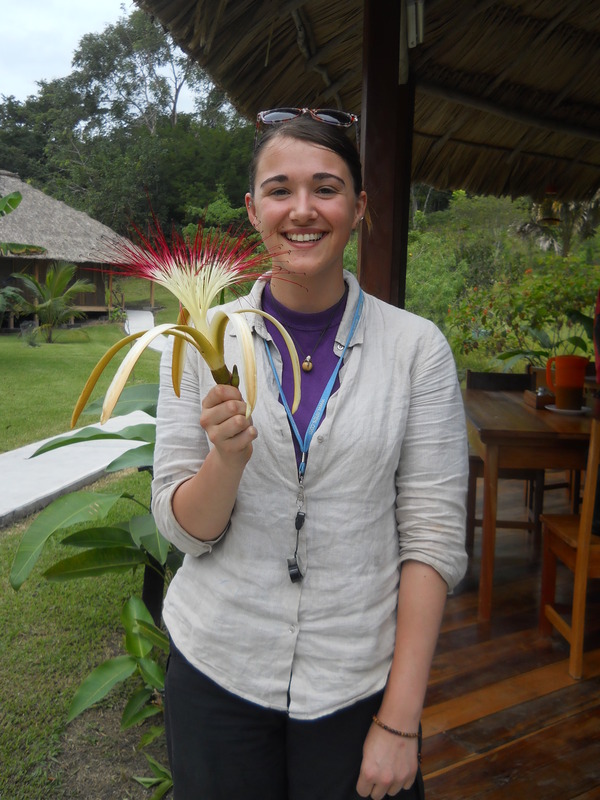 Here’s a picture of me holding the biggest Malvaceae flower I’d ever seen and being incredibly happy about that.